Our clubhouse is located at Oak Bay Group – Ladysmith Marina, which is in Ladysmith Harbour on Vancouver Island, British Columbia. We offer enjoyable programs of cruising, informative education sessions and social events, along with a welcoming reciprocal dock. We also welcome new membership inquiries. PLEASE NOTE: Our Reciprocal Docks are not available Saturday May 4th or Sunday May 5th. This is our Club Sailpast Weekend. Our clubhouse is located at Ladysmith Marina, which is in Ladysmith Harbour on Vancouver Island, British Columbia. We offer enjoyable programs of cruising, educational and social events, along with a welcoming reciprocal dock. We also welcome new membership inquiries. Reciprocal visitors are always welcome! We have 220 feet of guest dock suitable for vessels up to 45 feet on a "first-come, first-serve" basis. There is a flat fee of $5 for your first night; 15 amp power is included. The charge for your second night stay is .50 per foot. The Town of Ladysmith is approximately 1 km. from the Marina. Some shops will provide transportation back to the marina. Closest fuel is available at Telegraph Harbour (Thetis Island). Ladysmith Yacht Club was formed in 1985. Our Club activities include recreational cruises to interesting venues in the Gulf Islands, as well as informative educational events and an enjoyable social program. 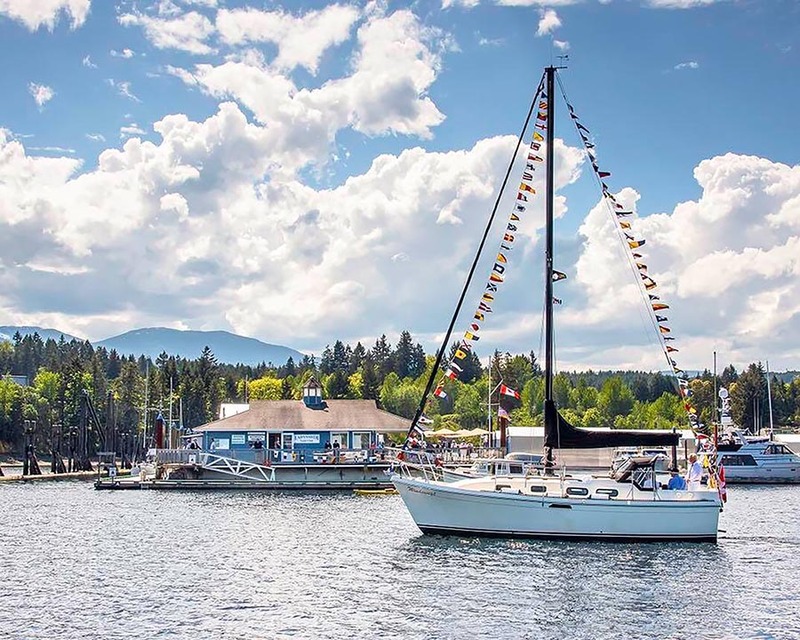 LYC is a proud supporter of 6 key boating and community organizations in the Ladysmith Area: Council of BC Yachts, Marine Parks Forever, RCMSAR, Mt Brenton Power Squadron, our maritime neighbor Ladysmith Maritime Society and Ladysmith Chamber of Commerce.